John Hardy's Bamboo collection has the perfect piece for the woman with nature in her heart. 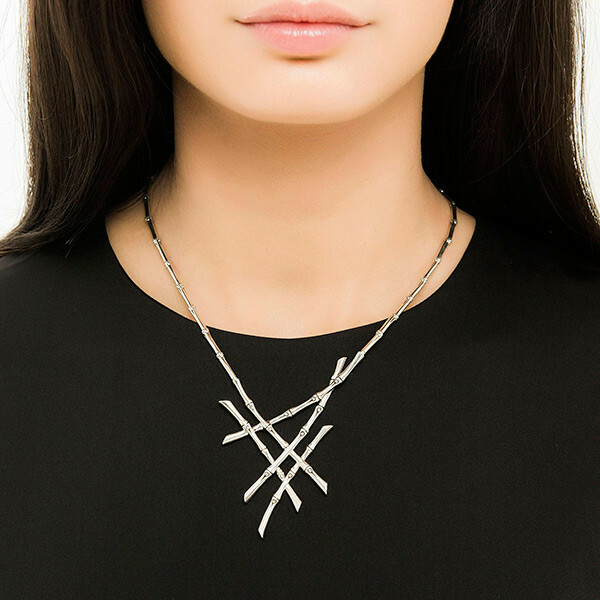 Artfully arranged, a cluster of bamboo sticks in lush sterling silver form a pendant along a chain of bamboo segments. Each piece is elegantly hand crafted, and the necklace is adjustable from 16" to 18". 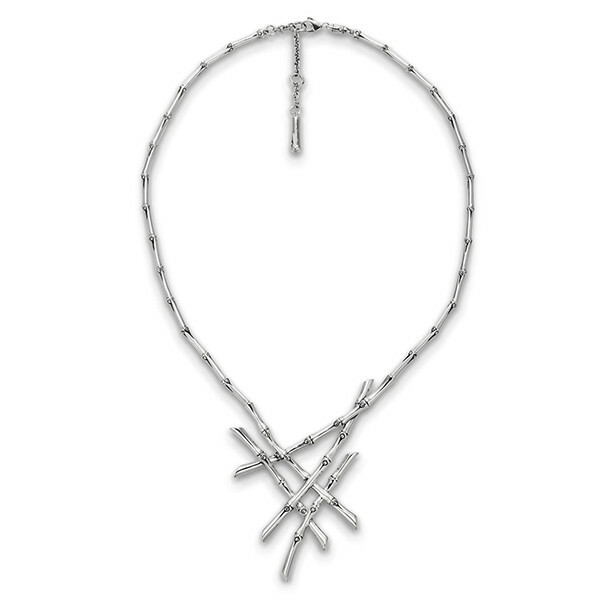 Mother Nature would love this striking John Hardy necklace, and so will you! 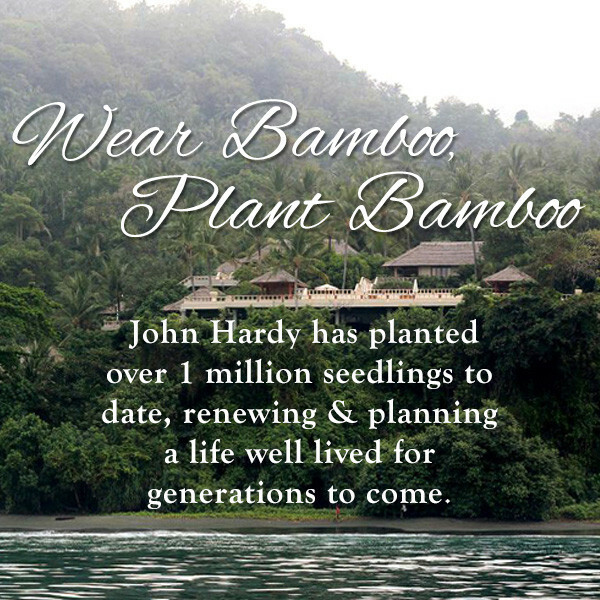 Three bamboo seedlings are planted with the purchase of this John Hardy necklace.